My church did something special last night to honor moms. The pastor called a special time of prayer for moms. As I sat there praying and thanking God for the undeserved blessing I have of being a mom to three beautiful children, my heart suddenly turned to grief and I sat there sobbing. 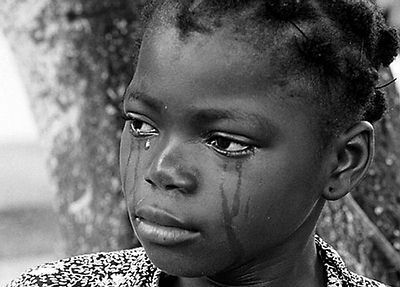 I was weeping for all of the children in this world who have been abandoned by their mothers. These children have every right to celebrate Mother's Day for they were bore from a womb, yet their mothers have given up their right and obligation to be their mother. This breaks my heart. Even more heart breaking is where some of these children have ended up as a result. However, last night, my tears weren't solely for the orphans at orphanages. No, they were also for those children who are traded and sold by their mothers for drugs, possessions and position. My heart was breaking for those children who are forced into the street by their mothers. Children who are sold into prostitution at young, tender ages. Children who are sold at birth because their mothers are so drugged up they just don't know any better. 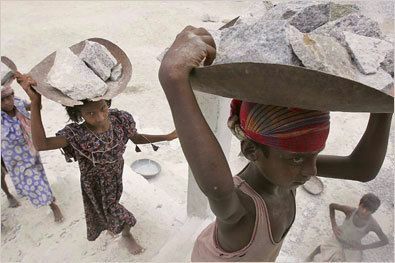 Children who are forced into slavery because their mothers see them as nothing more than a way to pay for their old age. Children who never have the opportunity to be children and in fact, suffer things that most of us can never even imagine or fathom because it is so sick and disturbing. Mothers, you have been blessed with children. There is no doubt that you love your children, provide for your children and would die for your children. Would you consider taking on more children? Not everyone can take on the path of adoption, but we can all pray for and reach out to abandoned children. We may not be their physical mothers, but we can be their spiritual mothers. Our prayers can change their lives as God unfolds their story and moves in response to your prayers. The sweetest moment for me last night as I sat there quietly sobbing in church was my young daughter wiping the tears from my face. In her innocence, she had no idea of the complexity of my grief or the reality of what was happening all over the world at that moment in time to many children. A mental picture I will keep forever as I pray for children all over the world. Happy Mother's Day. May it be a blessed one for you and/or your mother.